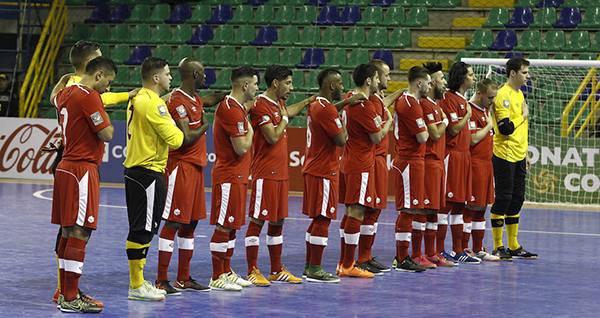 Canada Soccer have announced their roster for the National Futsal Team’s identification camp in Gatineau, Québec from 6-9 September. Coach Kyt Selaidopoulos has selected players who competed at this year’s 2018 Futsal Canadian Championship, including the first-ever selections from Territorial Member Associations in Yukon and Nunavut. The camp is the first opportunity for Selaidoplouos to begin to assemble the squad that will build on the success of the 2016 Concacaf Futsal Championship team who came within one point of qualifying for the 2016 FIFA Futsal World Cup. The camp opportunity brings players with club experience into the National Team environment, most for the first time. Selaidopoulos hopes to provide the players with an introduction to the expectations of Canada Soccer’s National Team program in a short training window.